There are certain Indian wedding Etiquettes that have to be observed on the day of weddings. Although there is no uniformity in these etiquettes as they keep varying according to the existing rituals and customs of the land and the communities concerned. For instance, the wedding etiquettes of the Hindu community can't be same as the Muslim or Christian community. So, one must be careful in observance of these wedding norms and etiquettes. Like most weddings around the world, Indian Weddings are also governed by some etiquette. In most Indian Weddings, the wedding etiquettes are religiously followed. However, there are no hard and fast rules. 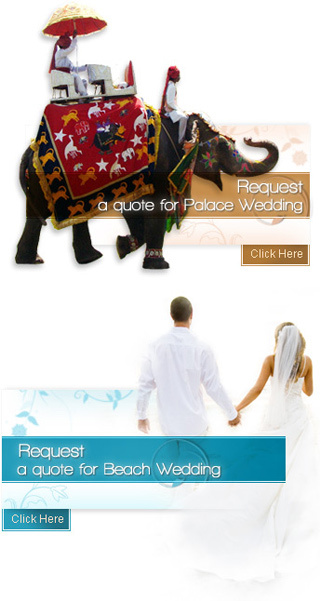 The Indian Wedding Etiquettes are an expansion of the Indian wedding customs and rituals. They are a set of mannerisms that should be followed so that the wedding is executed in a flawless manner. There are various kinds of etiquettes that are common to most Indian weddings. These include Wedding Belles, Changing Wife's Name, Wedding Etiquettes, Engagement Ring, Wedding Vows, and Wedding Location amongst many others. Today, controlling one's own wedding has also become common. The bride and the groom could choose to perform the wedding customs as per their preference. Indian Wedding Etiquettes are greatly affected by the attitudes and beliefs of parties. These include the exchange of gifts or "Shagun". The bridal party is expected to give due respect to the groom and his family. This is due to the existence of patriarchal systems in India. The wedding gift etiquettes are great importance in Indian Weddings. Choosing the right engagement ring, wedding location and arranging for the pre and post wedding ceremonies form the basis of the Indian Wedding Etiquettes. There are several Indian Wedding Etiquettes that can be modified for the wedding according to one's preference. Apart from this, taking control of your wedding also helps a great deal in bringing the couple close to each other. For any arrangements or help on Indian Wedding Etiquettes, you could avail of our services.